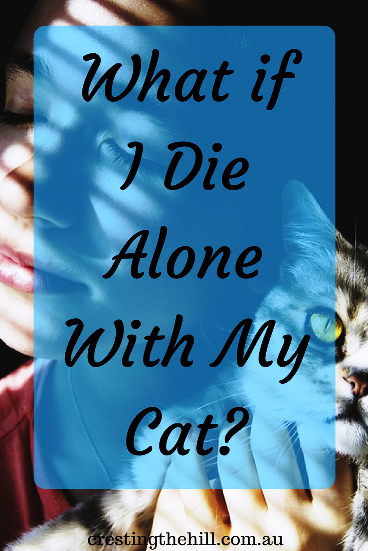 WHAT IF I DIE ALONE WITH MY CAT? WHAT BRINGS MEANING TO LIFE? It's strange how our values change and when they do, it shifts our whole focus in life. A couple of months ago I contributed to a post that Sue from Sizzling Towards Sixty wrote on what brings meaning to life. My answer (and the response from most of the others) zeroed in on our relationships with our family and friends being the most important factors. The only person who listed different factors was Denyse - and reading back now, I think she is far closer to the crux of it all than I was when I sent my list in. I wrote a blog post recently that caused a great deal of upset to a person I care deeply about. I read, and re-read my post to see how it could have caused such grief and ultimately I came to the conclusion that there was no intention in there to hurt, it was just an outlet for how I was feeling at the time. As I prepared my apology I stopped for a minute and thought - I can't keep apologizing for how I feel and what I think. 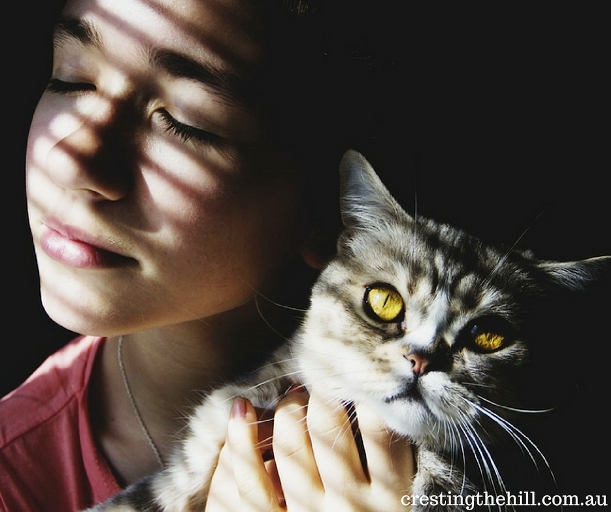 The post I wrote was about me and the difficulty I have with adjusting to some of the changes that the empty nest brings about. If in the process of writing, I gave offence then I just have to live with that. For 50+ years when I have unintentionally hurt or over-stepped I've said sorry and accepted the blame, but something inside me seems to have changed. I'm getting tired of apologizing. I looked back at the chart in my post on Quantum Change and I realized my values have shifted. Before I would have said that family, and fitting in, and being loved, were my biggest needs. Now, I find that's not the case - my values have shifted and instead, I want to be true to myself and to speak honestly and authentically. What I hadn't appreciated is that this would cause hurt to people I had normally gone out of my way to not upset, and that is a really tough thing to accept. The people pleaser in me wants to keep the peace, she wants everyone to like her, she wants everyone to be happy, she wants to excuse other people taking offence, she wants to say sorry all the time. The thing is, that is shifting and it's really scary. I don't want to be hurtful or cause upset, but I have to accept that it is the choice of the other person if they want to take offence. They can just as easily let it go through to the keeper and think - that's just Leanne writing stuff and although I wish she wouldn't, it's her blog and her right to say how she feels and I'm not going to escalate it or take it on board. So, now I am in a bit of a No-Man's Land - a place between who I was and who I think I might be becoming. I'm not really loving the fallout from that. I'm not liking that it causes hurt to people I care about, I am sorry they feel pain from the things I say, or think, or write. Part of me wants to go back to being the person who smiled when I was being made fun of, or who took the high ground and apologized when I said something that unintentionally hurt another person. 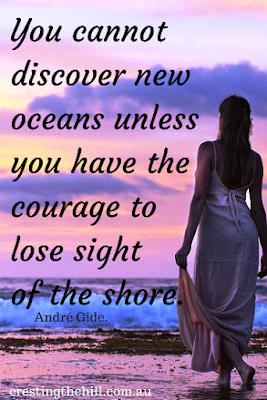 But a bigger part of me wants to discover what lies ahead if I accept the changes that seem to have occurred. The dilemma comes down to - what if I end up with no friends? What if my family doesn't like the wife/mother/mother-in-law/nan/daughter that I've become? What if all that I've invested in relationships is just dust and I'm left with nothing at the end? What if I die alone with my cat (you can't hurt a cat's feelings - so maybe I'll at least have a cat in my last days)? The what-ifs are really scary and they make me want to play safe. The trouble is that the changes have already started and I don't think I can go back - so the question comes down to " where to now?" and how can I not upset the people I love in the process? I don't have the answers and I don't know how to transition smoothly - but it's happening regardless so I'm just going to hold on and hope and pray for the best outcome. Hi Leanne, even though it is easy for me to say this it isn't easy to do necessarily but you NEED TO BE TRUE TO YOURSELF. I actually read your posts that you referred to and to me it was someone writing about the hurt that they are feeling. The hurt that you are feeling and you have every right to express that hurt. The problem is that sometimes people live in their own important world and when the tables are turned they can't accept it so they become defensive and blame you for writing your thoughts. You are a fabulouse wife/mother/nan/daughter and a friend I have come to know through blogging. You follow your heart, be true to yourself and I can assure you, you won't be dying alone with your cat. I went back and read what I wrote for Sue and then had a re-read of your post and this one. Here's something I think is where I am making some shifts in a different way. I am between 8-10 years older than most of the bloggers/readers/commenters. So, if you took me, back at my late 50s and early 60s you would have a different Denyse writing. I can tell you it has taken me till the past year..just one year...to actually think I can please myself first, as long as I am not harming my relationship with my husband. When I made myself retire/give up the labels I used to describe me: mum, grandma, teacher, etc I had to get to know me. The me that was last seen aged 20 before she became a married woman and had kids. Whilst there is a lot to like about where I am now, I cannot hang on to my labels. It has been tear inducing at times and smile inducing at others. Hence it remains a transition period. If I recall 46 years ago, transition was the hardest part of the birth process. Something I learned in the past 3 years is this. My blog is personal but it is never about the people in my life who are family or friends UNLESS there is permission and a significant reason to write about them. Blogs are public. Where I write stuff I need to 'get out of my system' is in a private journal. It is a fine line being a blogger and I have always cultivated a meaning within what I write that it can be personal but not involve my views on relationships with others (and you know most can be identified no matter what forms of disguise you might use). In fact if I really wanted to tell some 'home truths' I sure have some, but my blog nor any other form of Social media is where I will write. I know I've written more than normal but wanted to share! Thank you for linking up for #lifethisweek 22/52. Next week's prompt: View From Here. You really are an inspiration to me Denyse - who knows where I'll be in another 10 years time - hopefully somewhere as balanced and gracious as you've become! You're right about putting things out there in public - it's something I do occasionally and 99% positively - it's amazing how it can come back to bite you when you say something negative (as I've come to learn) I guess we all blog for different reasons and I feel like my blog is my voice - I've felt stifled for so many years and now I want to feel free to say what's on my heart - and for it to be okay to say that I'm hurting or unhappy - instead of just skipping along pretending life is perfect. I have a personal journal too and it is way more intense than anything I write here - I've read back over it at times and cried - my blog doesn't do that to me because it is a more general overview of things that happen to me at this age and stage. I guess I put the bad with the good occasionally to balance things out and be honest - and that's what will bite back and cause pain sometimes. As a famous person once said "such is life"
This is such an important topic to bring up. I'm in my 70's and love blogging. The blog part I more or less have kept for expressing my lessons learned and ideals/beliefs. My story, which I wanted to be told, is another thing. These pages I wrestled with how much to put in and about who. I wanted my voice to be honest yet I didn't want my loved ones' privacy to be violated. So I edited and edited with the intent of empowering other with my story. Anything where I had doubts I asked my loved ones to please read and give their thoughts. The result so far has been healing for those who have read what I wrote. Leanne, I've given up worrying about whether I'll die alone (I don't have a cat/dog) It could happen to someone who has many people in their lives yet no one is there when that moment comes. Just tell them you love them and did you best. We're all human. Hi, Leanne - This is another very thought-provoking reflection. I believe that as woman age, we shed off old layers that no longer fit. As you wisely point out, we tend to speak more honestly and authentically. I believe that initially, that change in us causes surprise (and yes, sometimes hurt feelings) among some of those around us. Honesty and authenticity are good things. I believe these traits make us even better people. Those who truly love us will respect this. Ultimately, I believe these traits will bring us even closer together with our friends and families. Leanne, I think the change comes when we realize that we don't have that much quality life time left on Earth and we want to make the best of it. That inevitably means being more selfish. We spent our whole life pleasing other people. Our parents, our friends so that they like us, our spouses so that they don't leave us, our kids, our bosses....the list goes on. We hit 50 and suddenly we realize it's time to take care of us! It is hard for others to accept that as we "trained" them to treat us the way they do for a long time. But it is not wrong. And we don't own anyone an apology for it (yet, I hear you apologize at least three times in your post - old habits are hard to break). Oh Jas, I think you could become my new best friend! Everything you said rings true for me. I don't think others see how much we do to keep the peace - until we stop doing it. Part of me wants to keep doing that and not to raise conflict, but I can't make others behave how I want them to - losing control is really scary but you're right that people who truly love us will stick by us. I'm off to read your blog - I think I'm going to love it! That is a bit of a dilemma, Leanna, but I think it's important to be true to yourself. Those who really love you, should get over it, because whatever they were offended about surely isn't a good enough reason to end a loving relationship. As you said, it is their choice. 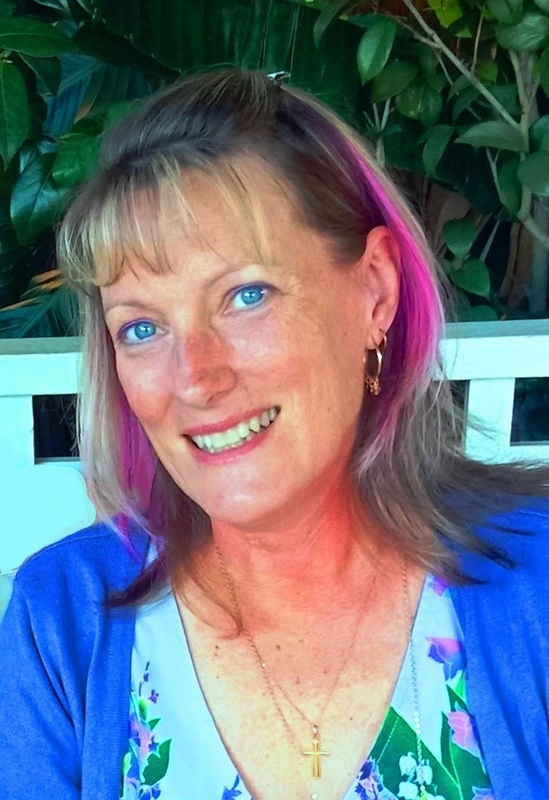 Deb you're so clear on things - the black and white of it is really easy to see, but there are so many grey areas where we don't know what the other person is dealing with in their own life and how that colours their view of what I say or write. It's hard because I usually censore myself to keep the peace - showing the uncensored side is when the rubber hits the road! I think writing with authenticity is so important. In the blogging world, we put so much of ourselves into our blog and posts that it is often difficult to find that line of what we share and what we do not share. There is no correct way to do it. We each have our own path. My blog is not as personal as yours, but for those times when I am writing about friends or family, if I think it might be controversial or misinterpreted, I will usually just ask that person ahead of time if they have any concerns with what I am going to post. This might not work for everyone though as it might stifle their writing or interfere with them using their authentic voice but it works for me. I am sorry that you encountered this situation. Good luck as you continue to share your authentic voice and work to stay true to yourself. You're right about running things past people first Karen - and I've done that several times, but when I write a post that is basically about how I feel and have been feeling for years, if I censore it down to please everyone then I might as well not write it. Sometimes I think I should take up craft and write about macrame - it would be a lot safer! Thank you for this powerful and honest post. I struggle with some of the same growing pains myself and appreciate your willingness to be vulnerable and authentic. Each of us has our own comfort level with how much personal "stuff" we want to share. I don't think there is any right or wrong answer. If you are blogging about your personal journey, and you hold back for fear of hurting someone else's feelings, it isn't authentic, and that shows. We want to be cognizant of others' feelings, but also can't be ruled by them. It's a learning experience for sure--for us and for our loved ones. Good luck to you and your cat! Thanks so much Christie - I think you totally get where I'm coming from. It's all well and good to say that you need to check what you write with everyone before you put it out there, but if I feel something then I should be able to say what's on my heart - it may be lovely or it may be sad - but it's how I'm feeling and this is my place to work through some of that stuff and to have others connect with me and share the similarities or differences in our journeys - I don't think there's a black and white answer - maybe my cat will know?? Hi Sue - thanks so much for your support and your understanding - it's a fine line that we walk when we write about our lives - I guess I hit quicksand this time and we'll have to see what happens. Leanne, I've been there. I believe our intention is what matters most - you will never know what little trigger goes off in someone because of a benign statement you make. And, don't worry, I don't think you're going to go careening out of control and find yourself having to choose between acting on your truth and keeping people in your life. I think that when we get bolder, we can spook ourselves; with the exhilaration of asserting ourselves can come a little panic over the cost to do so as if there is a cost. The irony comes when you find out the people you've been trying to please, are more respectful of you when you care less about pleasing them. You won't go wrong listening to the answer in your gut: Did I mean for my writing to be hurtful? Do I believe in what I wrote? Is it useful? If you can locate your own answers, they are the best ones, and remember that people love you for reasons you aren't aware of and won't ditch you for finding inner peace. Thanks Diane - all these darn changes mess with my head, and my relationships - I guess "no pain no gain" comes to the fore in Midlife! I meant to read and respond to this the other day, but wanted to come back to it. I've let some friends drift over the years and I figure there's some sort of natural attrition in place and a bit like musical chairs - anyone at the end is meant to be there. It's a scary thought isn't it Deb? I'm in the process of alienating my daughter by the look of things - I spoke to a couple the other day and their 48 year old daughter cut them out decades ago - they just have each other and when one dies that leaves the other with nobody. I'm hoping a few of my friends might be around to share the bingo room in the old people's home - or I'll be under a bridge with my cat if my husband ever leaves or dies! Oh I am so sorry to hear this Leanne. But like you said: it is the choice of the other person if they want to take offence. You are just saying what is real to you. Hopefully they will learn to live with that. And thank heavens for cats!!! It's so hard to know what is going on in someone else's head and how something inoccuous can trigger offence. I'm learning that blogging can bring many joys, but sometimes it can cause a heartache here and there too - and YES thank goodness for cats - they never seem to get offended!